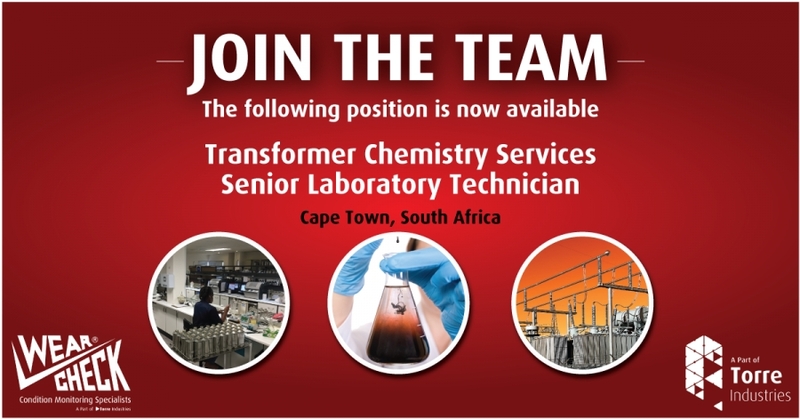 Responsible for the Laboratory operation, focusing on efficiencies, to achieve the Company’s strategic and operational objectives. Responsible for ensuring that the branch meets its goals and objectives in a timely manner. Minimum Education – Completed tertiary qualification in Analytical Chemistry, Chemical Technology or similar. 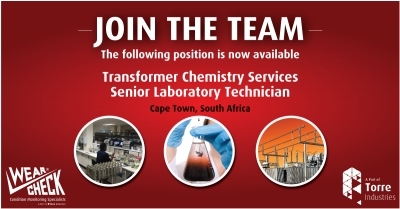 5 years of professional experience in an Analytical Chemistry Laboratory or similar position, preferably in the diagnostic testing of insulating materials used in high-voltage electrical equipment. Working knowledge of SANAS 17025. Knowledge and experience of IEC and related Standards for diagnostic reporting. Excellent communication and organisational skills, must be a team player, and show proven leadership ability. Must have time and change management skills. Calibration, operation and Primary maintenance on the following Analytical Chemistry Techniques, Gas and Liquid Chromatography, Coulometry, Electro Chemistry and Physical(Electrical) testing techniques of Insulating materials. Guarantee that the evaluation, reporting and interpretation of test results are accurately reported to customers according to the requirements by following recognised analytical standards, including the responsibilities of a technical signatory in accordance with SANAS 17025. Must be deemed competent and authorised to perform all calibration, test methods as well as utilization of all laboratory equipment. Manage consumables and ensuring that laboratory consumables are organised and stored according to safety instructions. Set daily/weekly/monthly objectives and communicate them to personnel. Manage the safe use of equipment and schedule regular maintenance in-line with the planned maintenance program. Train new employees on the safe use of laboratory equipment and accurately follow procedures. Sample registration and data capture in accordance with internal procedures. Applications close on 10th August 2018. If you have not received a response by 17th August 2018, please consider your application as being unsuccessful.